H.W.C. Dullaert was founded in 1990 in a monumental 17th century canal house in Amsterdam dating from 1648. The gallery has been trading for 45 years and owner Mr H.W.C. Dullaert has been a sworn appraiser in antiques since 1990. 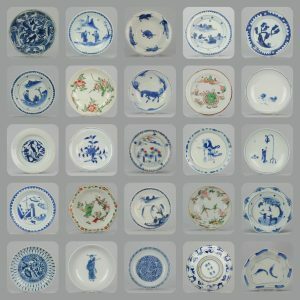 The gallery deals principally in antiques to do with the relationship between Amsterdam and China and with a link to the heroic past of the Dutch East India Company which was the biggest dealer in the world of Chinese porcelain for 200 years – five times bigger than its main competitor the British East India Company. The gallery has a branch in Johannesburg and has participated in international antiques fairs in the UK, the Netherlands, South Africa, Belgium and Russia.